Our exterior house cleaning service in Hamilton provides comprehensive service in one detailed visit! Shack Shine is shining your neighbourhood, one home at a time. Your home’s important to you, but you’re busy. Let us tackle the process of shiny the exterior of your home. Our exterior house cleaning service offers customized cleaning of the exterior of your home. Our friendly, uniformed technicians will always arrive in shiny, organized vans. In just one detailed visit, you’ll have the shiniest home on the block. Power washing is house detailing at its best. We can use high pressured water to scrub the driveway and concrete around your home. Refresh the patio for a like-new look. This is a super safe method to cleaning away years of grime and buildup without the need to paint or hide it. You don’t even have to move the furniture for us. We’ll do that for you and put it back when we are done. Pressure washing any horizontal surface is an effective way of cleaning and protecting it. From siding to your home’s brick, we can scrub it clean in no time without the use of harmful chemicals. Even better, we don’t damage your landscaping. Eavestrough cleaning ensures water can properly run from the roof away from your home without damaging the foundation. This is essential house maintenance required in Hamilton at least in the fall and spring months. You don’t have to climb a ladder to get it done, though. Let Shack Shine do the work for you. Our technicians will use a vacuum to pull out all the debris and grime within and then use our water filtration system to push water through. This process frees up the flow of water and positively shines the interior. Happiness in every detail. It matters. 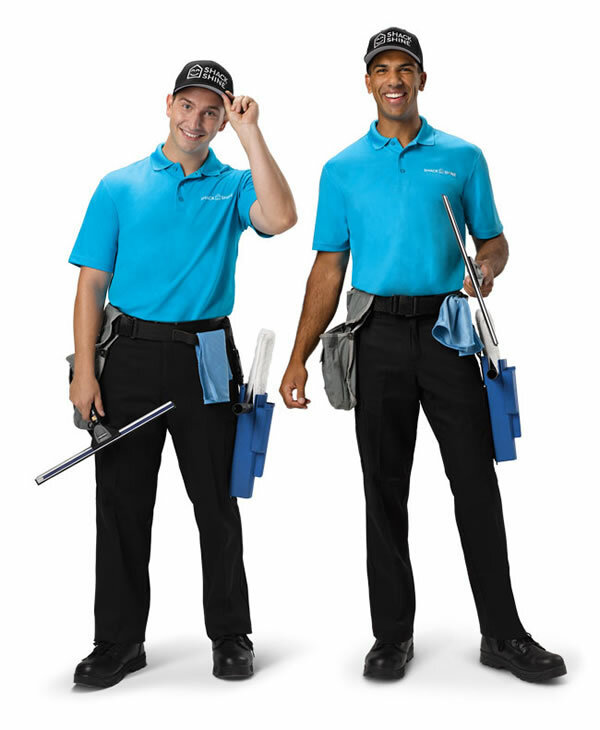 A key service our exterior house cleaning service in Hamilton offers is roof cleaning. Take a step back and look at your roof. Is there discoloration, mold, mildew, or areas of debris there? This is common due to the significant changing weather patterns in Hamilton. We don’t need to use harsh chemicals to clean the roof. And, we minimize the amount of ladder use we need. However, we can properly scrub the roof to remove the unwanted debris. Who likes to clean windows? We do! We handle interior and exterior window cleaning for you. This is an important part of ensuring you always have a clear view out of any window you look through. A home so bright, you gotta wear shades. Ask us about our annual maintenance service that ensures you always have sparkling windows. Removing debris and particles from the exterior of your home protects its value and keeps the structure itself in good condition. Even in a single season, a build-up of mildew, moss, and debris will age your home and potentially infiltrate its structural integrity. That includes water-fed poles that allow us to scrub every corner of your home one area at a time. Whether you have vinyl siding, brick, or other materials, our house washing service is thorough and safe. We don’t use harmful chemicals either. Be ready to have the brightest home on the block this holiday season. Shack Shine Glenview offers a Christmas light installation service, making it easier for you to get ready for the holidays. We offer high-quality commercial grade Christmas lights that are energy efficient. Everything is 100% customizable from the style to how it fits your roofline. To make it even more convenient for you, we’ll return to fix burnt out lights and do the takedown at the end of the season. We are happy to help you get started with hanging up those beautiful lights! Get start with the holiday dazzle with us. 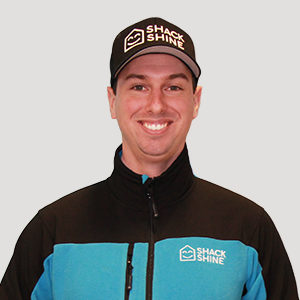 My name is Paul Molinaro, and I am one of the proud owners of Shack Shine Golden Horseshoe. I heard about Shack Shine through my eventual business partner, Taleb Oubayan. He had already been looking into the opportunity and felt a partnership might be an even better fit. It sounded like an excellent opportunity to capitalize on the skills I had worked so hard to develop in previous experiences. I love the brand and really believe it’s going to be something enormous in the relatively near future. 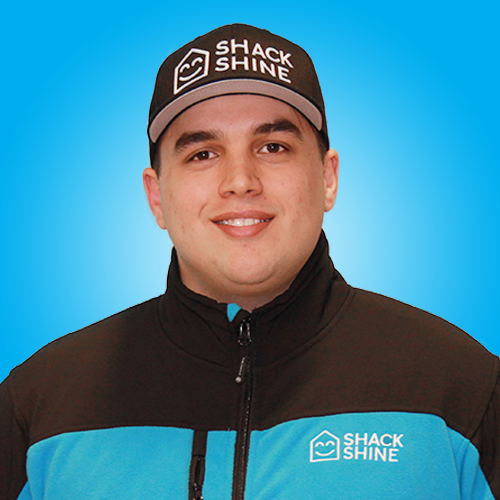 My name is Taleb Oubayan, and I am ecstatic to be a co-owner of Shack Shine in the Golden Horseshoe. While growing up in Niagara, it was an ambition of mine to become a successful entrepreneur. It started with selling parts of my school lunch to other students for cash in the 5th grade and progressed throughout the years. I studied business at Brock University and that is where I entered the window cleaning industry as a student franchisee with College Pro. I spent 6 seasons running a successful window cleaning business and 2 more years as a business Coach. After leaving the industry for 2 years, I discovered Shack Shine. It was a perfect fit! I am happy to be able to use the skills and experiences I have developed throughout the years to make a bigger and better business. Most of all, I am happy to be a part of an amazing community. I am very pleased to be able to work with my good friend Paul Molinaro in this new venture and I am equally as excited to make this a family business with my wife.